We had another fabulous package delivered from the lovley folks at Degusta. 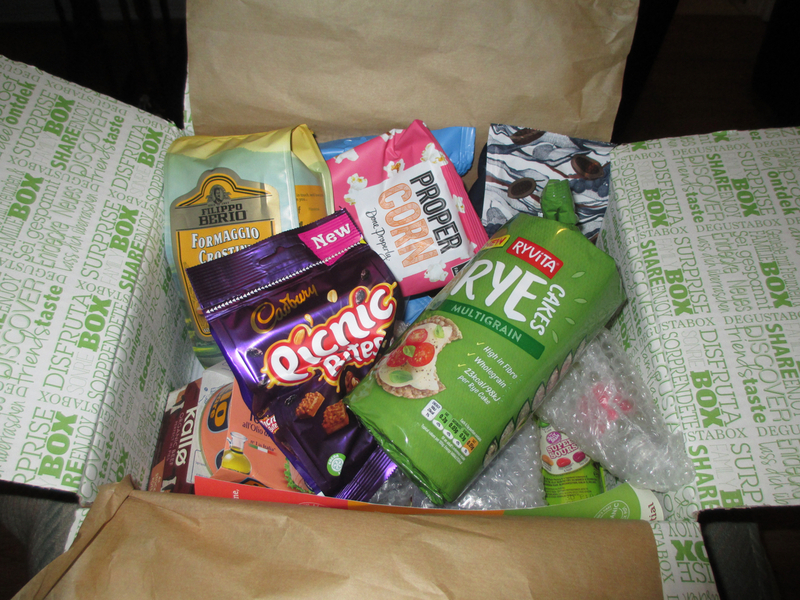 Basically they send a lovely selection of new goodies each month, which are a mix of sweet and savoury, and a great place to find new items. As you can see from the picture above the box is jam packed with goodies, and I always look forward to digging in and seeing what has been sent. First up we had some snacks, always a favourite section for the team here at Foodstuff Finds. 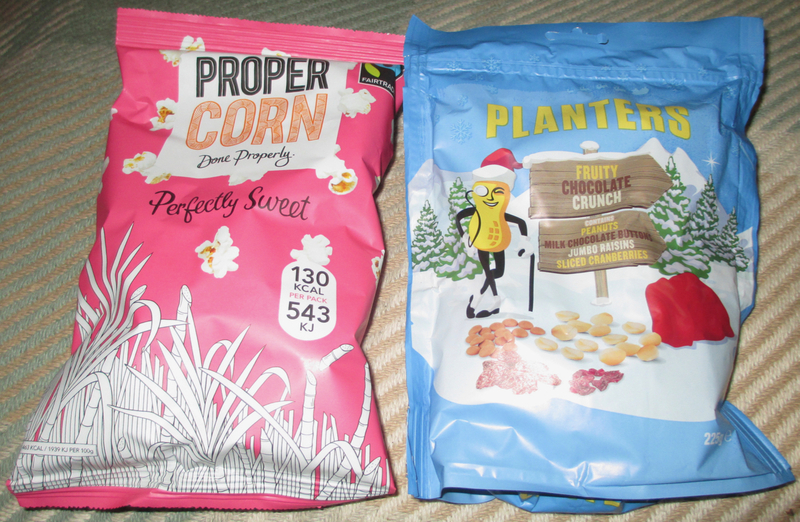 There is some popcorn from Proper Corn, which is the sweet flavour, and will be perfect for a movie night in. The Planters fruit, chocolate and peanut mix will come in very handy for Christmas time nibbles. In the savoury section we have some Kallo stock pots, perfect for winter stews. 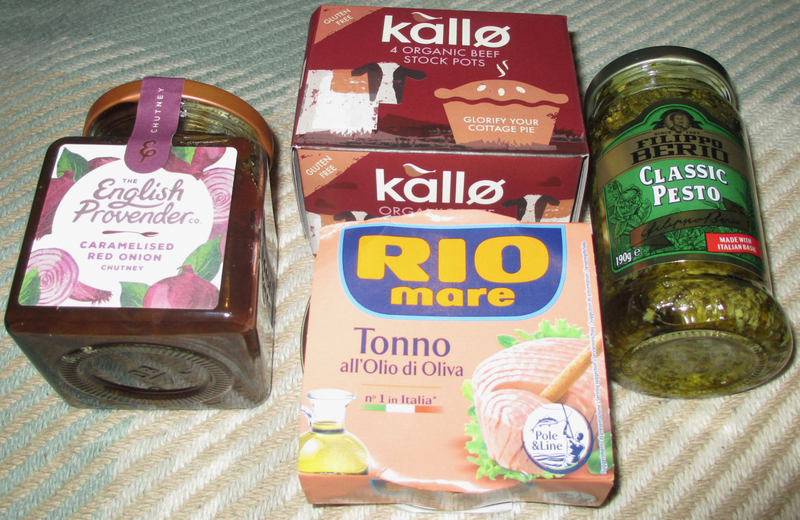 Rio tuna and Filippo Berio pesto, which will work well together and make a nice salad. There is also a jar of English Provender Red Onion chutney, which will be debuting on our Christmas cheese board this year. 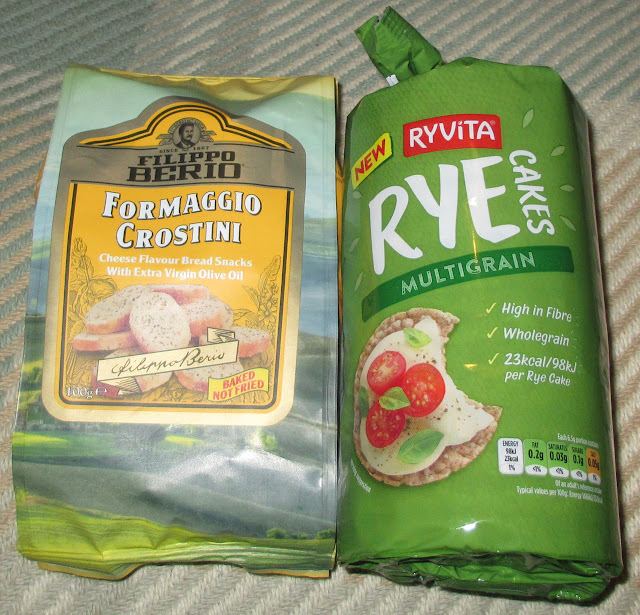 Also in the Filippo Berio range are some Crostini, they would be nice in a salad too, but are more likely to be used as croutons in a hearty soup. The Ryvita Rye Cakes are a new product and are lovely smothered in cream cheese. My other favourite section is the sweet tooth goodies. 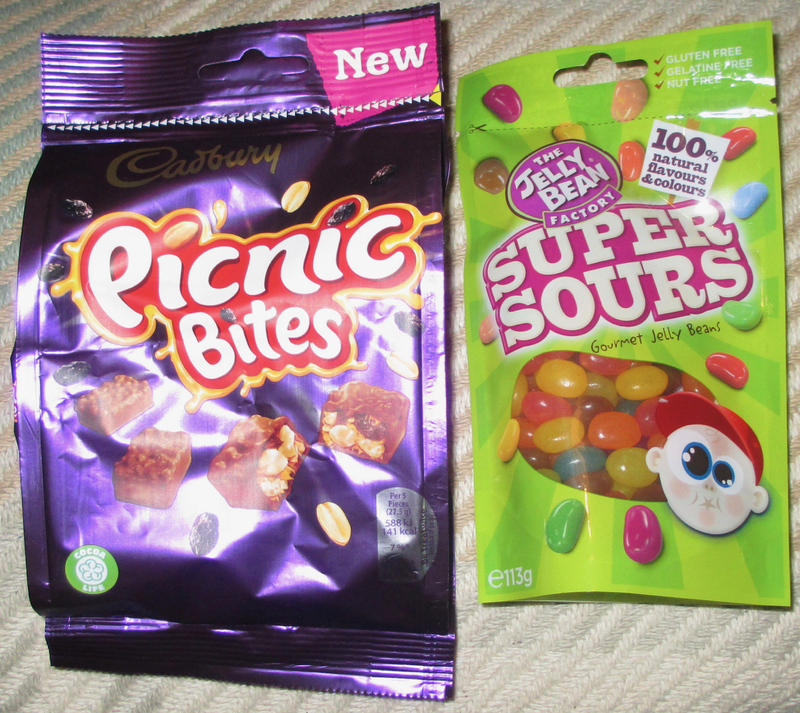 Picnic Bites and the Jelly Beans will be fab to share while watching the TV and catching up on some box sets. There are always some drinks included in the Degusta boxes, and there is a bottle of apple fizz from Dalstons which I'm looking forward to trying. 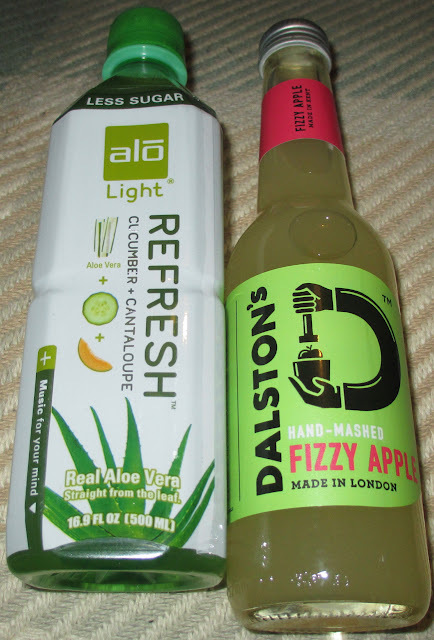 I love cucumber in drinks, and so can't wait to taste the latest drink from Alo, which has it added. Finally is the breakfast section. 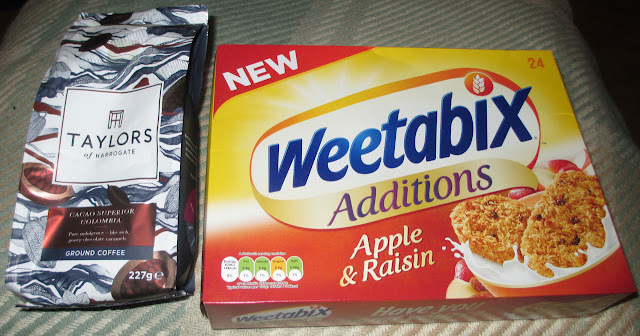 The new Weetabix edition contains Apple and Raisin, and will be a good start to the day. I can couple it with a mug of this divine sounding Taylors of Harrogate coffee, Cacao Superior which promises rich sweet tones to get the day started.